Your morning coffee made better! 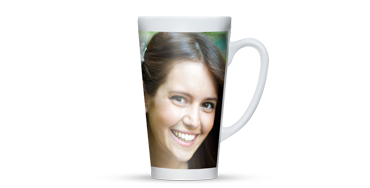 This ceramic mug features your photo and great design templates. The perfect start to the day! 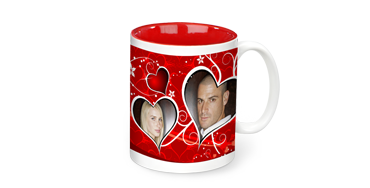 This magic ceramic mug features your photo and great design templates. Enjoy your favourite hot drink in one of our beautiful personalised caffè latte mugs! Your favourite pictre is printed in an extra wide, all-round landscape format, to be enjoyed from all angles. Nothing says good morning like a cup of coffee in your own personalised latte mug. Add your favourite picture to brighten up this elegant mug. So colorful the day just starts well! 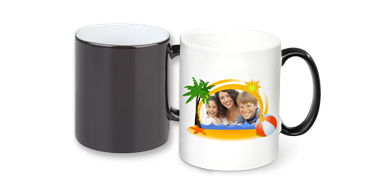 The popular photo mug now with five different interior colours. For an all-round good start to the day! 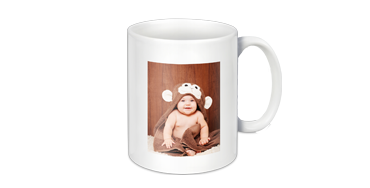 Not just for breakfast time: On this mug, you can have your favorite photo printed extra large in a panoramic format. Absolutely charming! 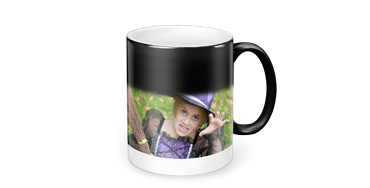 Fill your panoramic magic mug with a hot beverage and your photo will magically appear! 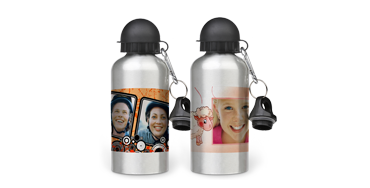 The ideal companion for school, sport and leisure: a water bottle for life with your own picture! Includes a carabiner hook and two closures. 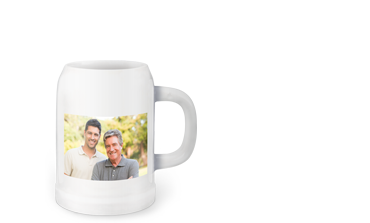 The beer mug with your picture and great choice of design templates! You’ve never been so beautifully refreshed! 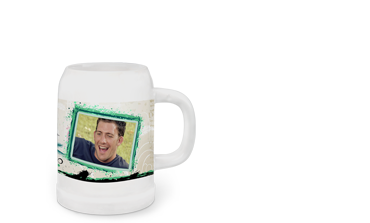 This ½ litre traditional ceramic beer mug is a real eye-catcher: It has your picture printed all-around it!